Too often well-meaning Protestants get confused and accuse of things that are outright nonsense if not lies. It is usually because they never take the time to really understand what the Catholic Church actually teaches and practices. Below is a good example of a kind and well-meaning Protestant pastor who wrote to me earlier today. He is obviously a good man and thinks he understands but his use of the same-old, same-old, worn out and misrepresentative arguments show that he has not done his homework and is parroting things some other parrot taught him. Let’s look at what he says. First, his letter was posted in my Combox under a blog post “Do Catholics Worship Mary?” in which I give a long explanation. I think our good pastor failed to read the whole article or he wouldn’t have written what he did. He starts by saying, “I believe the confusion comes because the Church chose to remain theologically in the Old Testament – using priests – when Jesus has become our High Priest. I am a pastor, and I pray for my people, but I am NOT their ‘priestly mediator’ – Jesus is! Though I could write a book on this topic alone, and it has been done by others, it is sad to see people still have such a basic misunderstanding of the priesthood of Jesus and the priesthood of believers. 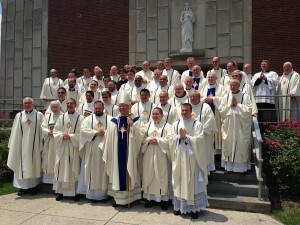 My answer can be as simple as this: We are all priests! We are priests but it does not keep us in the Old Testament, nor does it mean we are trying to undermine the priesthood of Jesus. St. Peter tells us, “1 Peter 2:5, 9 “And like living stones be yourselves built into a spiritual house, to be a holy priesthood, to offer spiritual sacrifices acceptable to God through Jesus Christ. … But you are a chosen race, a royal priesthood, a holy nation, God’s own people, that you may declare the wonderful deeds of him who called you out of darkness into his marvelous light.” See also Revelation 1:6; 5:10; 20:6. Not only are we priests, but we also offer sacrifices. My, that sounds awful Old Testament doesn’t it? Yet it is the reality of the New Covenant. 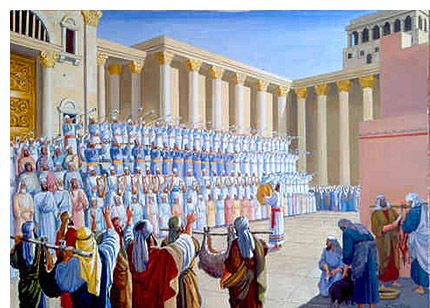 In the Old Testament there was a 1) High Priest (Aaron and his sons), 2) a ministerial priesthood (Levites) and 3) the general priesthood of all the people (Ex 19:6). The Church is the new Israel. Should we expect it to have a different structure? Of course not. In the Church we still have three levels of priesthood: 1) Jesus is our new High Priest, 2) the ordained priesthood, called by the early Christians “Levites” and 3) the general priesthood of all believers like in the Old Testament. This is exactly what the Catholic Church has and exactly what the Protestant churches have abandoned. “Woe to them! 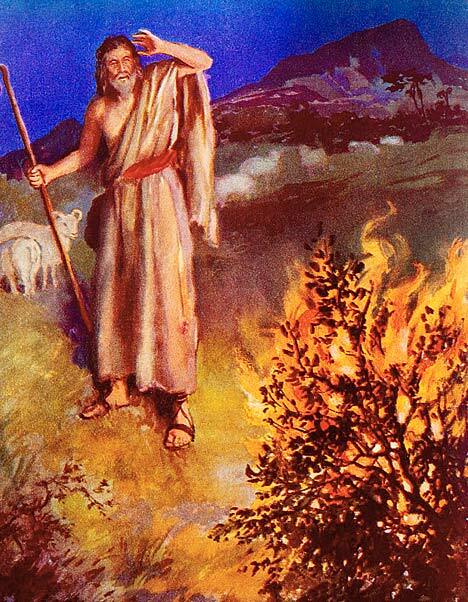 For they walk in the way of Cain, and abandon themselves for the sake of gain to Balaam’s error, and perish in Korah’s rebellion.” Jude 11. What was Korah’s rebellion? None ordained, non-Levitical priests claimed that they too were holy and could offer the sacrifices relegated to the priesthood. When they protested and said they could do what the priests do the earth opened up and swallowed them. Jude is not writing to Jews but to Christians and warns them not to claim what is not allowed to them. The priesthood is the priesthood. 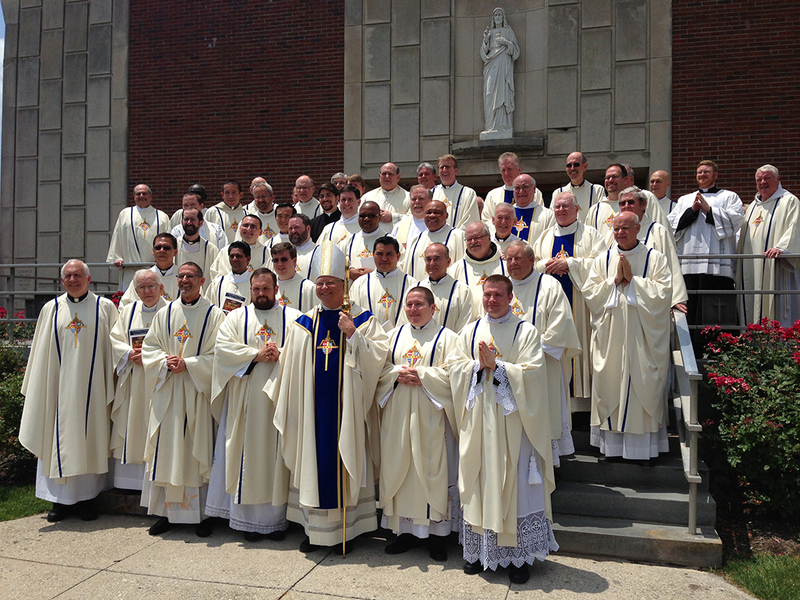 We are all priestly mediators! Every time we pray for someone we are in the middle between them and God. If this pastor says he is praying for his people then he is putting himself in the middle between them and God and acting as a mediator, an intercessor. I remember my father saying “We have only one meditator between God and man, and it is the man Christ Jesus!” I responded, “Don’t EVER ask me to pray for you again.” Why? Because it puts me in the middle and makes me a mediator. Jesus is the mediator of a new covenant which only he could establish, but he then asks us to share in his mediatorship by praying for others and acting on their behalf. And he asks the ordained priests to share in his priesthood, working as the Levites to serve him in the sacramental duties of the Church. The pastor then writes, “The Bible is clear that we MUST NOT try to communicate with the dead – and Mary and the apostles are dead! Lev 19:31 “‘Do not turn to mediums or seek out spiritists, for you will be defiled by them. I am the LORD your God. Lev 20:6 “‘I will set my face against the person who turns to mediums and spiritists to prostitute himself by following them, and I will cut him off from his people. What is this? It is the fact that saints are not dead but alive and with Our Lord in heaven. We are all still one family and in communion with one another. Death does not divide the body of Christ. The body of Christ is one whole including those on earth and those who are with the Lord in heaven. We ask one another on earth to pray for us (making them mediators) and knowing that the saints are alive in heaven, we also ask them to pray for us. Now our pastor friend makes a bold statement, “Mary and the apostles are dead.” Really? Has he read the New Testament lately? He sounds more like a Sadducee than a Christian. The Sadducees denied life after death. They said that the dead were dead. If we want to see Mary alive in heaven all we have to do is read Revelation 12:1. CCC 2116 All forms of divination are to be rejected: recourse to Satan or demons, conjuring up the dead or other practices falsely supposed to “unveil” the future. Consulting horoscopes, astrology, palm reading, interpretation of omens and lots, the phenomena of clairvoyance, and recourse to mediums all conceal a desire for power over time, history, and, in the last analysis, other human beings, as well as a wish to conciliate hidden powers. 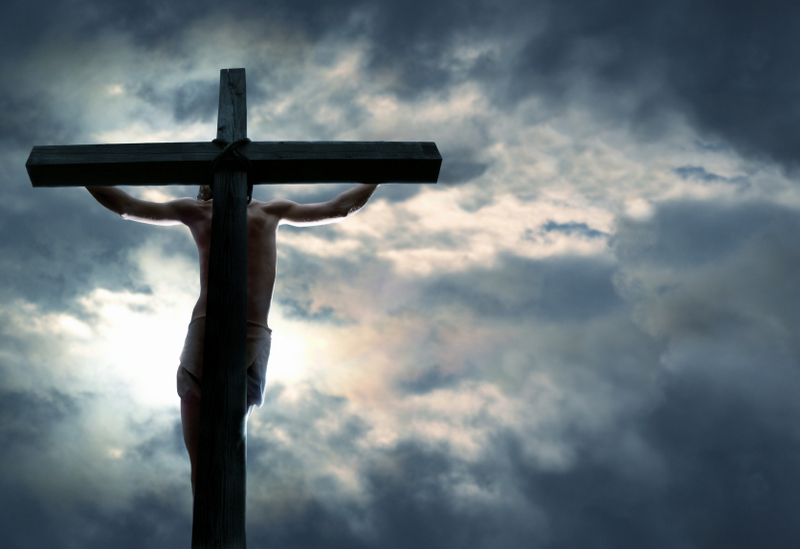 They contradict the honor, respect, and loving fear that we owe to God alone. CCC 2117 All practices of magic or sorcery, by which one attempts to tame occult powers, so as to place them at one’s service and have a supernatural power over others—even if this were for the sake of restoring their health—are gravely contrary to the virtue of religion. These practices are even more to be condemned when accompanied by the intention of harming someone, or when they have recourse to the intervention of demons. Wearing charms is also reprehensible. 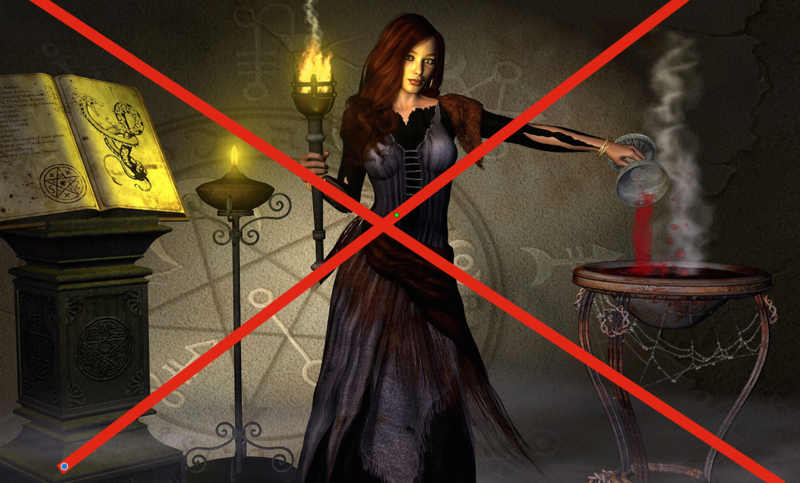 Spiritism often implies divination or magical practices; the Church for her part warns the faithful against it. Recourse to so-called traditional cures does not justify either the invocation of evil powers or the exploitation of another’s credulity. We do not consider asking the saints who are alive in heaven to pray for us a violation of Old Testament or New Testament law. The confusion lies with the pastor who accuses Catholics without knowing of what he speaks. 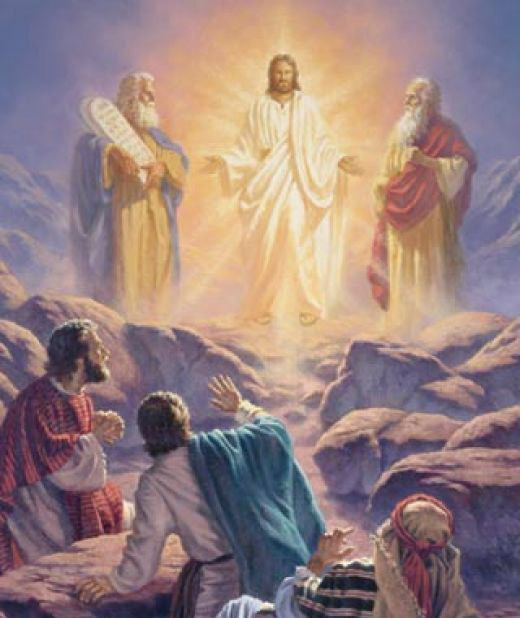 One needs only look at the Transfiguration to understand a bit more about the spiritual world and its interconnection to believers on earth. Jesus is talking to whom on the mountain? A dead guy? Moses had died and been buried over a thousand years earlier yet he is very much alive and talking to Jesus. There was more that the pastor wrote but only to repeat what we’ve already responded to. I suggest he study the Catholic teaching and the teaching of the very first Christians and come back to the fullness of the Faith. And if he wants to quote the Bible he ought to study his Bible a little more carefully too. I wonder what the good Pastor would say to this verse? 2 Corinthians 5:19 To wit, that God was in Christ, reconciling the world unto himself, not imputing their trespasses unto them; and hath committed unto us the word of reconciliation.20 Now then we are ambassadors for Christ, as though God did beseech you by us: we pray you in Christ’s stead, be ye reconciled to God. A, St. Paul says that God is reconciling the world to Himself through Christ. Insinuating, that reconciliation with the Church is reconciliation with God – that God was in Christ, reconciling the world unto himself; be ye reconciled to God. In other words, he is saying, be reconciled to God, through us. Us, being the Church, the Apostles and Disciples who represent the Church. This is what makes Christianity so unique. God didn’t send Jesus to give us some divine revelation of what we had to do to get right with God. True. But, when you beseech man as though God did beseech man, you remain squarely in the middle. You are another mediator. And when you pray for men in Christ’s stead, you remain squarely in the middle between God and man and continue in your role of mediator. That is the point of this thread. Jesus Christ is mediator. We are the Body of Christ, therefore we mediate. And the Scriptures depicts the Church as beseeching us in God’s place and praying for us in Christ’s place. Thus the Scriptures tell us that we, the Church, the body of Christ, mediate with and through Christ. This is what makes Christianity so unique. That which makes Christianity unique and superior to any other religion is the Eucharist. By which we participate in the LIFE OF CHRIST. 2024 Sanctifying grace makes us “pleasing to God.” Charisms, special graces of the Holy Spirit, are oriented to sanctifying grace and are intended for the common good of the Church. God also acts through many actual graces, to be distinguished from habitual grace which is permanent in us. We receive sanctifying grace through the Sacraments. But the Eucharist is the Sacrament which is the fruit of the Tree of Life. Do you remember what Scripture says about the fruit of the Tree of Life? This is what happens when eat of the Eucharist, we participate in the life of God and given the gift of eternal life. When we partake of the Sacraments, we walk upon Mt. Sion, with the Saints. Which brings us back to the Communion of Saints. It is because we walk amongst them (Heb 12:22-24) who are alive in Christ (John 11:25) that we can speak to them and request their intercession as easily, nay, more easily than we can ask our neighbor, because they are truly just who have been made perfect in His blood. God didn’t send Jesus to give us some divine revelation of what we had to do to get right with God. Yes, God did that as well. “Look unto me, and be ye saved, all the ends of the earth: for I am God, and there is none else” (Isaiah45:22). STEVE RAY HERE: What does your comment have to do with this discussion? You just pull a verse out of context from the Old Testament and think you have said something wise? Did anyone here say otherwise? Did you even read Steve’s post, or any of the comments? If so, how about interacting with them? It is because we look unto to God to be saved, that we listen to the Church. Scripture tells us that God speaks through His Church. How do you read these verses? 2 Corinthians 5:18 And all things are of God, who hath reconciled us to himself by Jesus Christ, and hath given to us the ministry of reconciliation; 19 To wit, that God was in Christ, reconciling the world unto himself, not imputing their trespasses unto them; and hath committed unto us the word of reconciliation. 20 Now then we are ambassadors for Christ, as though God did beseech you by us: we pray you in Christ’s stead, be ye reconciled to God. A friend of mine posted this article from this site on face book. I’ve read it through and attempted to access the blog that you posted where “Do Catholics Worship Mary”….however I couldn’t do it….but I have read through this particle article and there are a few things that I would like to address. And yet you’ve just stated that “They work with him just like the Levites worked with and for Aaron”. The Catholic Church IS indeed stuck in the Old Testament….your own words testify to this. Jude was not referring to any ‘priesthood’…he was referring to all Christians that would rebel against the authority of God….and describes in detail some of the faults of those members, (which all churches even in this day and age, including the Catholic church have members among them who fall into that category). But it doesn’t make you the one Mediator does it. I urge, then, first of all, that petitions, prayers, intercession and thanksgiving be made for all people— 2for kings and all those in authority, that we may live peaceful and quiet lives in all godliness and holiness. 3This is good, and pleases God our Savior, 4 who wants all people to be saved and to come to a knowledge of the truth. 5For there is one God and one mediator between God and mankind, the man Christ Jesus, 6 who gave himself as a ransom for all people. This has now been witnessed to at the proper time. Where does He ask the ‘ordained priest’ to share in His priesthood……working as the Levites to serve Him in the sacramental duties of the Catholic church????? By what precedence…there is no Apostolic teaching on this…..no teaching on this from Christ Jesus Himself. 1 Thess 4………And the dead in Christ will rise first…….is the Apostle Paul wrong…..no…is he referring to dead saints…yes. Now where does the bible say we should pray to saints – dead or alive? 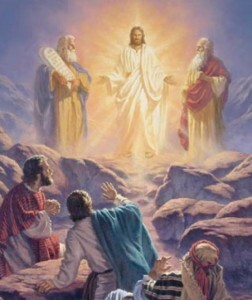 How does the Transfiguration have anything to do with praying to dead/but not dead/ or not dead but alive in Jesus (however you wish to say it)…how does it have anything to do with praying ….Jesus was not ‘praying’ to Moses…they were actually discussing the real world as you put it….and the fact that Moses was aware of what was going on earth….does not translate into therefore we can pray and they will answer our prayers…..it simply means that what Jesus stated is true….that God is not the God of the dead, but of the living…..and what Paul stated is true…..the DEAD in Christ will rise…..nothing about being able to pray to them or that we should, or that they can hear us or that they can/ will answer. Good advice that we should all heed – including yourself of course, with regards to studying the bible….for as you study your bible, you will see that the ‘very first Christians’ had no ‘ordained priests’ and that the ‘very first Christians’ never prayed to ‘saints’ but were always directed by the Apostles to make their requests known to God…with the confidence that the one Mediator, by His bloody and once for all sacrifice has opened the way for all true and faithful believers to approach His throne of grace directly, whether praying for others or for themselves. STEVE RAY HERE. I MODERATE THE COMMENTS BUT HAVE ALLOWED THIS ONE TO DEMONSTRATE HOW CONFUSED AND TWISTED SOME TRADITIONS ARE. THIS ONE SHOWS HOW SOME PEOPLE ARE LIKE PARROTS WHO SAY WHAT THEY’VE BEEN TAUGHT WITHOUT EVER REALLY LEARNING BEFORE THEY SPEAK. You did not choose me, but I chose you and appointed you so that you might go and bear fruit–fruit that will last–and so that [whatever you ask in my name] the Father will give you. First, all prayers of believers are addressed to God through Christ Jesus. No one can go to the Father except through Jesus. So no, saint can go directly to God if not in the name of Jesus. Second, can the dead pray for the saints, in the name of Jesus? Situation: If there are more than a thousand living people pray to one dead saint simultaneously (same time but different location), and believe that this dead saint can hear and pray and sort out their prayer requests, that dead saint must be possessing the attribute of God being omnipresent (they hear them from different locations so they can be everywhere hearn and omniscient (being able to hear and sort thousand different prayer requests). We are treating that saint, unknowingly like God, so thus, become idolatry. A dead saint, is no omnipresent and omniscient, granting if he can hear prayers from living people. No dead saint, absent in the body, was cited even in the bible able to connect with living people, present in the body, to hear the prayers to pray for them, much more if there are more than a thousand asking for a saint to pray for their varying prayer requests.